No web design skills or special software required. Create a professional website in minutes. Don’t pay a website developer. 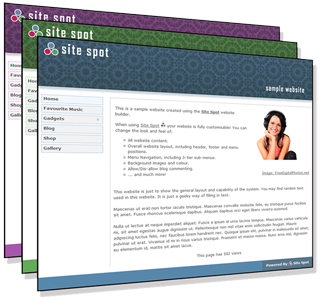 This is a sample website created using the Site Spot website builder. Overall website layout, including header, footer and menu positions. Menu Navigation, including 3-tier sub-menus.